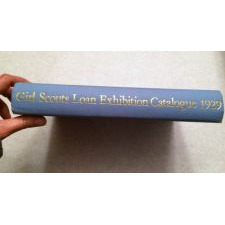 This is an excellent 1977 published reprint of the original 1929 exhibition catalogue. 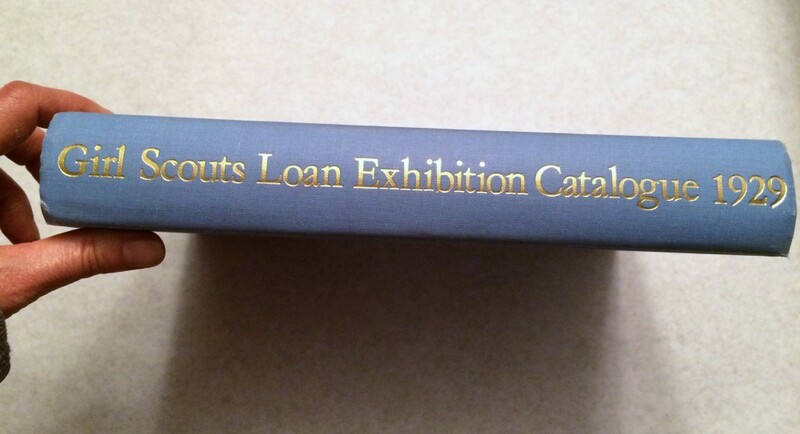 The complete title is Loan Exhibition of Eighteenth and Nineteenth Century Furniture & Glass. Examples of Lustre Ware, Lowestoft, and Toile de Jouy used in America during these Periods. 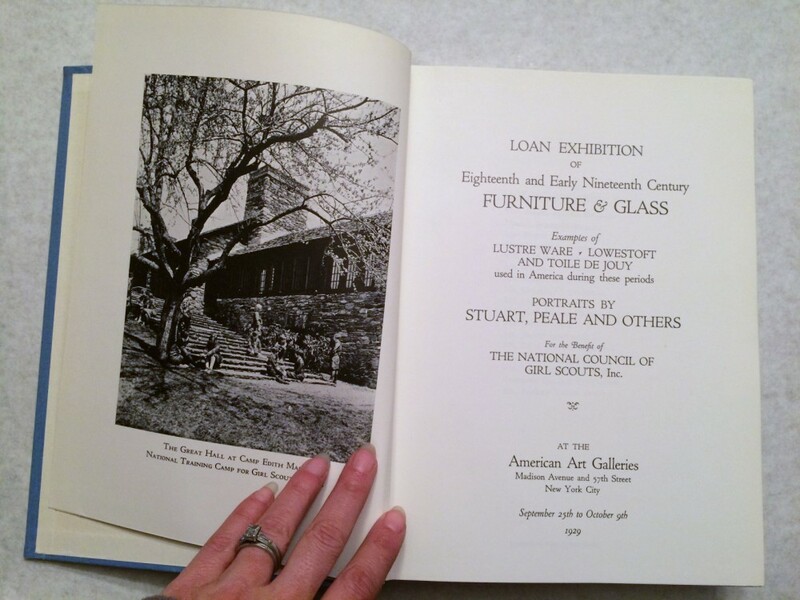 Potrraits by Stuart, peale and Others for the Benefit of The National Council of Girl Scouts, Inc. held at the American Art Galleries in New York City. Although there is a real joy in having the original exhibition catalogue, this reprint is excellent and maintains the same quality to photographs, etc. as the original. This is a blue cloth-covered hardcover, with no dust jacket as issued. Very light rubbing/soiling to front cover. Gilt letters at spine. Very Fine condition overall. This exhibition was the first of its kind. 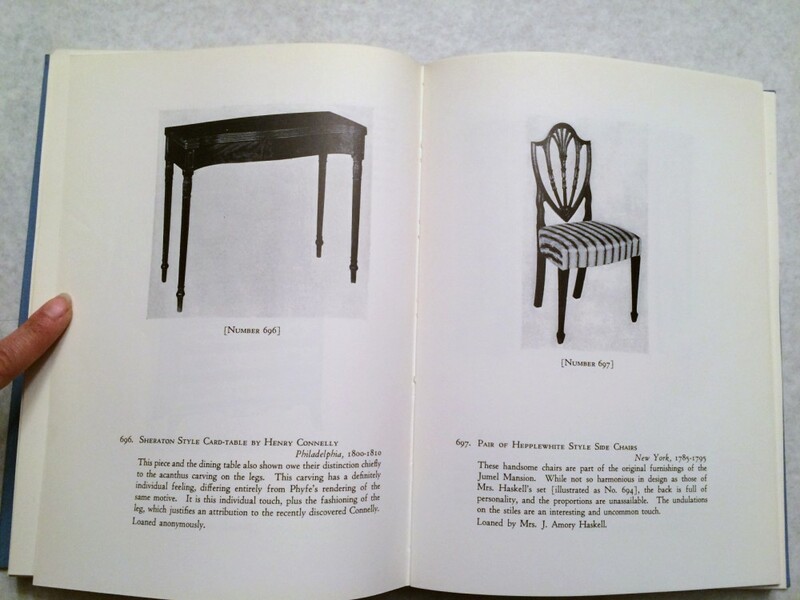 Focusing on American made and used decorative arts, the exhibition included More than 925 objects--primarily furniture, with some art, glass, ceramics and a few textiles as well. 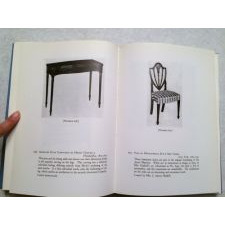 A great research resource featuring some of the best examples of furniture that have since disappeared from public view or have made their way into museum collections. The exhibition featured primarily objects from private collections. 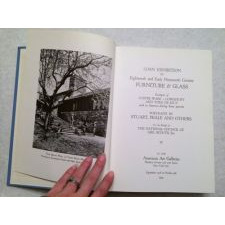 The evtn was sponsored by the likes of Luke Vincent Lockwood, Francis P. Garvan, J. Insley Blair, Francics P. Garvan, Henry F. duPont, Fiske Kimball, etc.